Americans for Peace Now (APN) welcomes the swearing in of a new Palestinian Authority government, headed by current Palestinian Prime Minister Rami Hamdallah and comprised of apolitical technocrats. APN views this new government as a promising and much-needed step toward unifying not only Palestinian political factions but also the two territorial components of the Palestinian polity: The West Bank and the Gaza Strip. Such unity is vital for empowering the Palestinian leadership to credibly conduct negotiations with Israel and to reliably implement a future peace agreement. 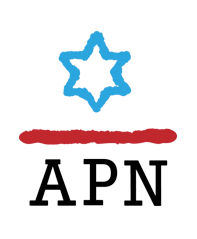 Consistent with APN's longstanding position, we call today on the Obama administration, the Israeli government and the international community to determine their relations with this new Palestinian government based on its positions and actions, rather than using Hamas' participation in its formation as pretext to reject it.